Task Fronterra is setting the industry bar in the visualisation of borehole image data. Our customisable spatial views provide an immediate frame of reference in a multi-well environment. Stratigraphy, lithofacies distribution and individual dips are available for display on all views. 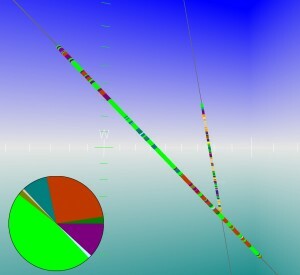 The 3D environment even allows presentation of the borehole images themselves! Apparent dips on the cross-section view are correct for any given line of section. Dip planes can be extrapolated to their theoretical intersections with other wellbores. All views can be saved for later retrieval. These features come as standard in the Attitude Viewer that Task Fronterra supply to clients as an optional component in our reports. 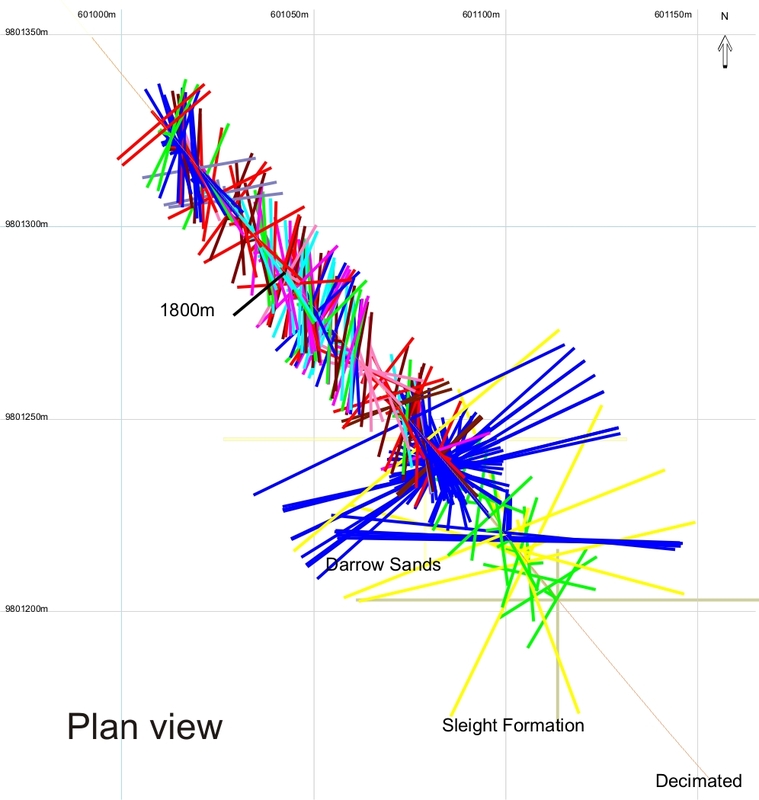 Facies intervals can be imported for each wellbore in the Attitude project. Not only does this allow facies distribution to be viewed in the 2D and 3D spatial environmentsprovided by the software, it also provides statistical analysis with the click of a mouse. Interval thickness and proportions can be viewed both in text-based and in graphical formats.